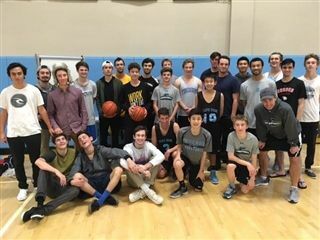 On December 16, players from all years of the Pacific Ridge boys basketball program gathered for some fun on the court. Current JV players and coaches took on the alumni, who won with a buzzer-beating basket by Scott Nalbandian '15. The event, which also included a series of 3-pt. and free-throw contests, was a great way to reconnect with alumni and celebrate the sport.